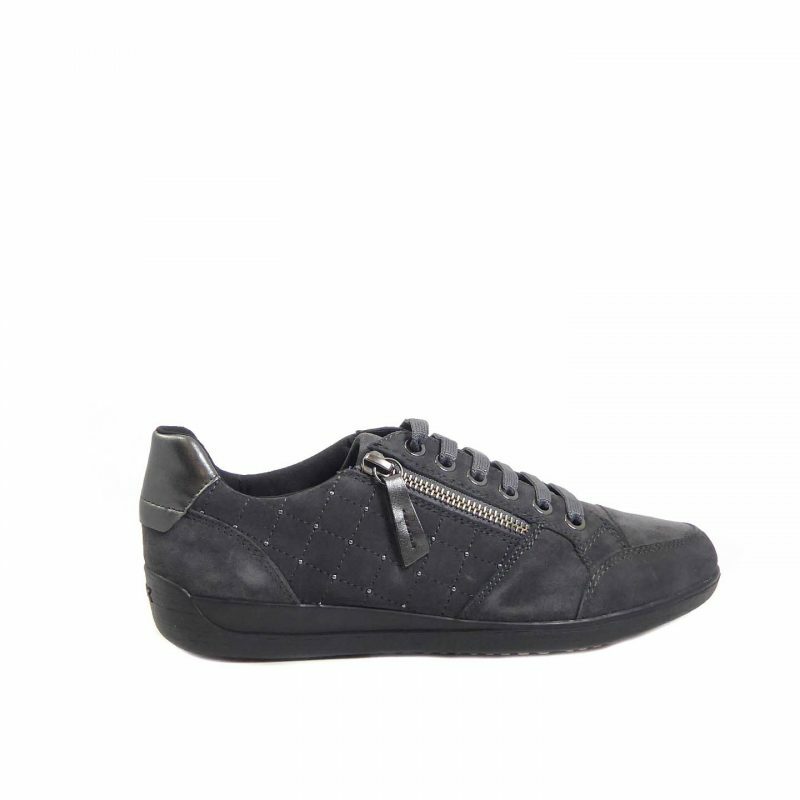 Geox Myria sneaker is always a winner and this season is no exception! Featuring a quilted suede upper with silver stud inlay. 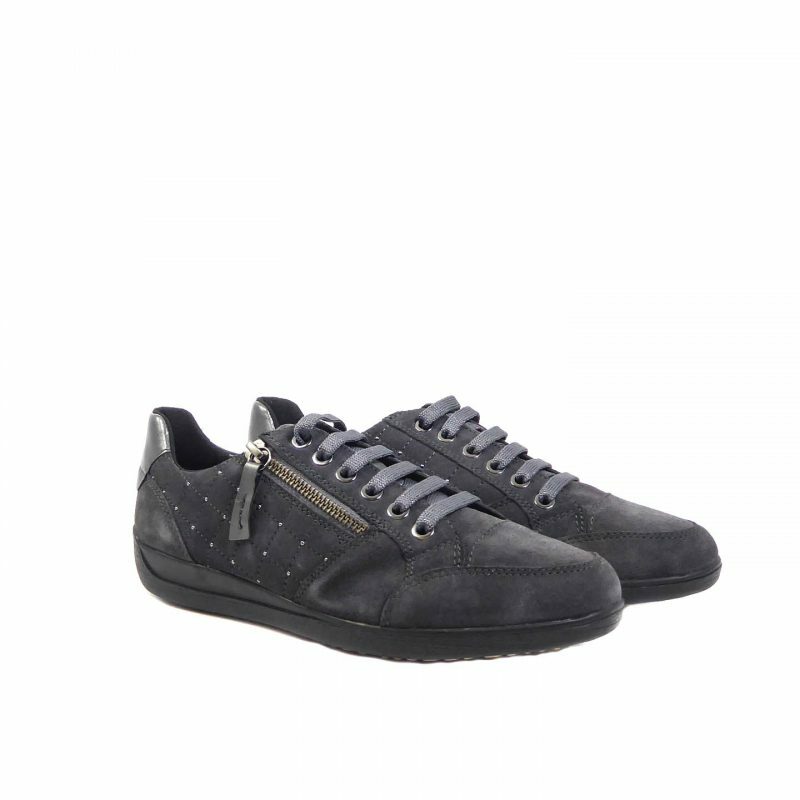 The sole is slightly raised and rubber and the fastening is by way of a single side zip and laces. Finishing touches are a leather inset to the upper and toe cap and a leather heel guard. Perfect to run around town.